It’s not always the case that you’d be able to muster a great deal of enthusiasm for a band making their second appearance in a city in the same year and nor is it often the case that a band releasing and touring a double album would be particular cause for celebration. The Rifles, however, are not just any band, and Big Life is not just any album: released in August, London outfit’s fifth studio album was something an ambitious effort given that double albums are not only a rarity these days, but because whenever they do appear, they often tend to be rather indulgent affairs. Not so for The Rifles though, for whom it marked a triumphant return after a two and a half year absence with two discs packed with some of the finest songs they’ve written to date. In truth, it’s always a welcome occasion when the band comes to Glasgow, but with such a fine album to promote, there was an extra appeal to their appearance at the Garage with the chance to hear these new songs live. 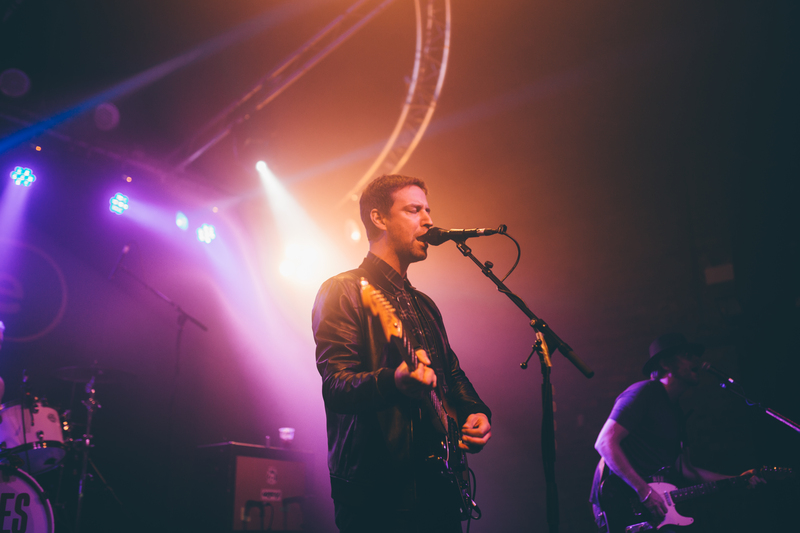 Opening their set with the doublet of Minute Mile and Heebie Jeebies, the two main singles from 2014’s None The Wiser album, The Rifles showed that they were in the mood to put on a show from the off and proceeded to prove yet again why they remain such an exciting and vital and. The first Big Life track of the night was Numero Uno, which proved that the new material is more than capable of holding its own amongst the band’s formidable arsenal of classics, as did Turtle Dove. Indeed, perhaps the best compliment which you can pay that latter track – the latest single from the new album – is that it followed back-to-back versions of Peace & Quiet and the Great Escape, perhaps two of the Rifles’ finest moments, and didn’t sound at all inferior. For all the energetic grace of such songs though, perhaps the real highlight of the set came in the three song acoustic section midway through the main part of the set. The first of the trio was a beautiful rendition of Big Life stand-out Victoria, followed by fellow album track Young FOR a Day which somehow took on an added poignancy because it gave guitarist Luke Crowther a moment in the spotlight. Closing the triumvirate was the No Love Lost classic Spend a Lifetime, sparking the obligatory sing-a-long which is a special moment of any Rifles set, and not just for those in attendance – it’s genuinely endearing to see how much singer Joel Stoker enjoys himself at these moments and it makes it all the more enjoyable to have the pleasure of sharing them. The electric guitars were back for the last part of the main set, again featuring a blend of new songs and old favourites, closing with Robin Hood and the anthemic Romeo & Julie, the chorus of which has became the band’s live calling card. After a short break, the band reappeared for raucous run-throughs of She’s Got Standards, the always majestic Local Boy and finally Under and Over, bringing the night to an end on a typically high note. In our review of Big Life, we observed that it seemed like a great injustice that The Rifles never quite made the commercial breakthrough that their music so richly deserves, and this performance only strengthened that view point. 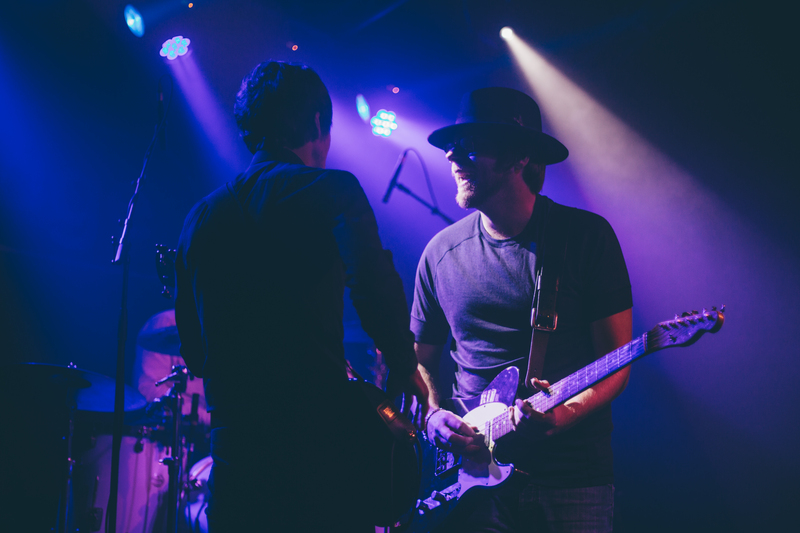 Featuring a perfect mix of old classics and new ones, The Rifles proved that they’ve still got so much left to offer both live and in the studio and underlined their credentials as one of Britain’s finest bands in both environments.